What a great way to start 2019! 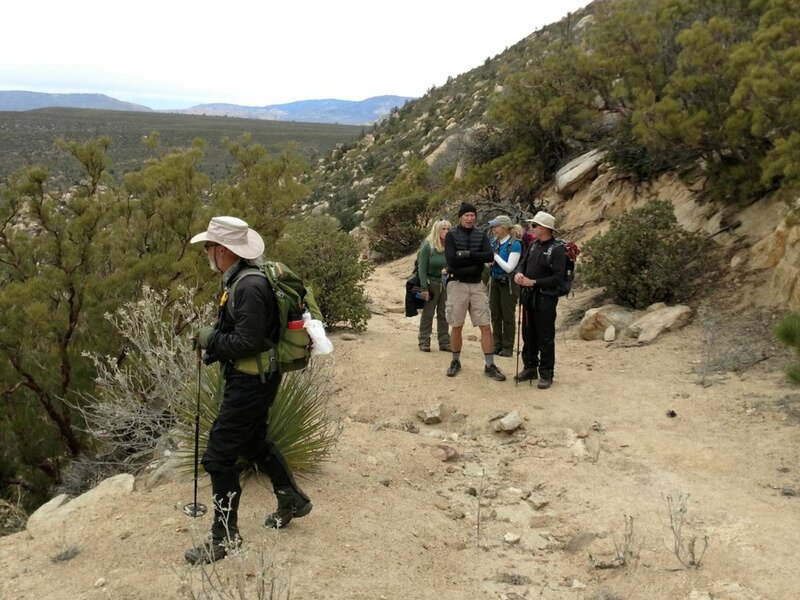 Fourteen wilderness ranger volunteers headed up the Hemet Belle goldmine trail in Garner Valley. Chip Hurn, equestrian ranger, was our official leader of the day. Patty Anderson has led lots of trips up this trail so she was also a great wealth of knowledge on this really cool trail! This was the first interesting stops along the trail. An arrastra is a spot where the gold is separated from the rock by the work of a mule going around in circles. Not quite sure exactly how it works so check it out for yourself. I think I can speak for the group when I say that we all LOVED Jack’s Shack! The views were incredible. Evidently, he was a prospector. Who knows if he was successful but he sure had a stellar location! Nearby, we found a tub. Perhaps, it belonged to Jack. Along the trail, we found some really neat artifacts like this cart. BTW, if you happen to go on this trail, please do not advertise to the public. We don’t want anyone trying to cart things home. This is one of the visible mines along the trail. Two of the mines we passed were barred off to prevent entry by humans and to protect hibernating bats. They need a place to hibernate in the winter without being disturbed to conserve energy. Here we are at the end of the trail. Our trail adventure ended with Chip showing us the “Hidey Hole” that he discovered. It definitely does not belong to miners. 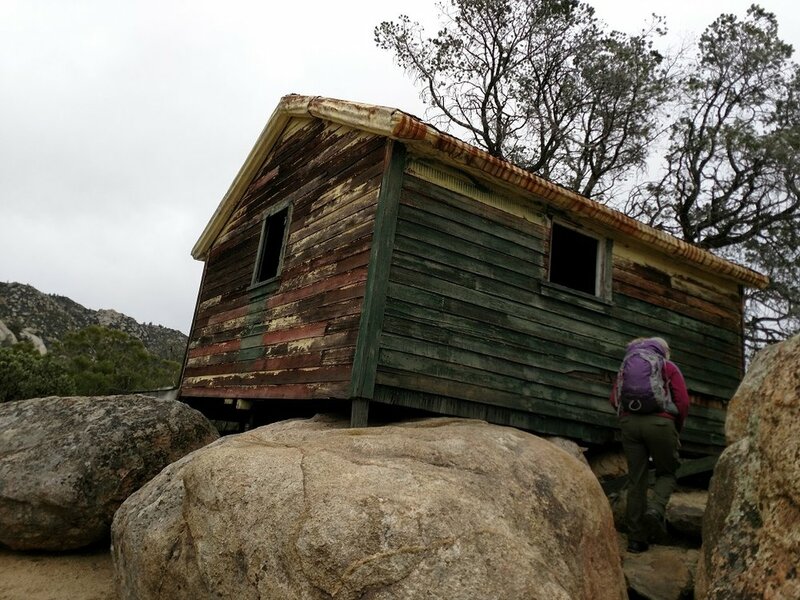 It is an interesting hideout among the boulders. 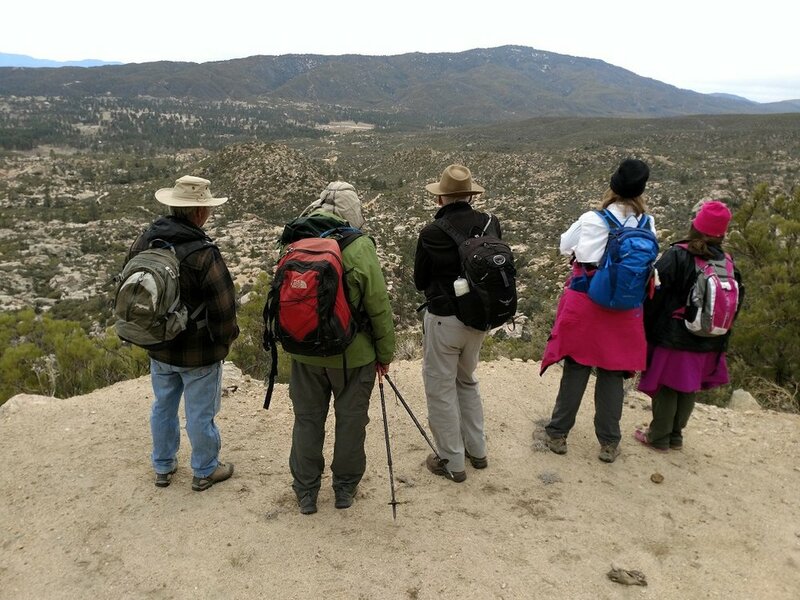 If you weren’t able to attend the social hike this year, be sure to come next year. We always have a great time!